We're only a few weeks into the new year, and companies are already teasing their latest and greatest technologies for 2018. 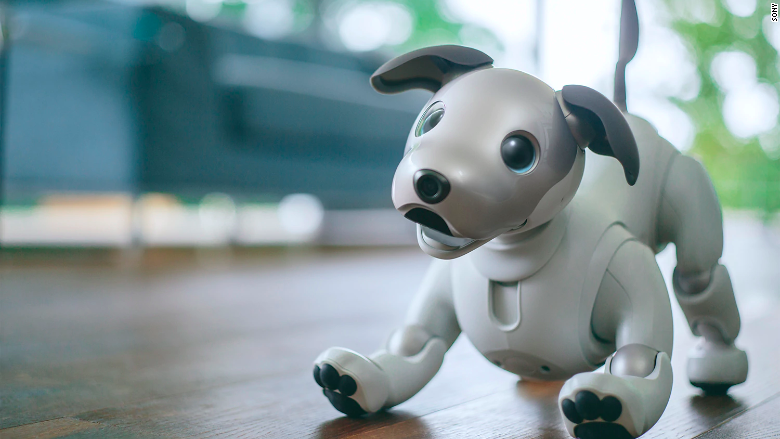 To start, Sony showed off a revamped version of its robot dog Aibo. It can do things like find a ball or bone, dance, and give a high-five. Aibo has AI advancements, like developing its own personality over time, and it can recognize people via using facial recognition. The robot dog can also tell people apart from objects like a bone. Unlike previous models, it has OLED eyes, which make it look more realistic. Aibo costs ¥198,000 (about $1,740). Pre-orders began in November, and it will start shipping in Japan next week.